707 Truthband by Emerald Mountain by Humboldt Seed Organization is an elite underground classic presented by Ras-Truth. This cannabis seed has a strong aggressive growth, but it is very resistant and offers a high production value. 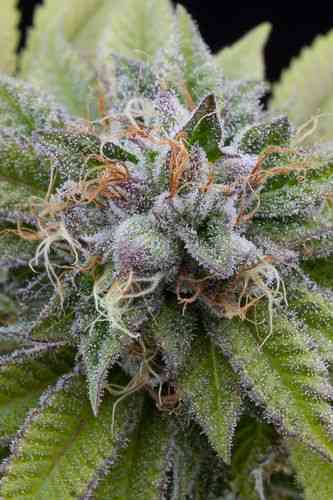 It yields strong branches that allow for the growth of large resinous colas dyed with beautiful purple and red hues. When growing outdoors, it is ready for harvest by the first week of October and indoors, the flowering period comes to an end in some 10 weeks. It provides strong sharp and musky overtones combined with hints of spicy fruit and pine. Its effect is mainly cerebral with a couch locking body high. This marijuana strain will reward us with an unbeatable mutiple cup winning flavour achieved by one of the most premier breeders in California.